Taylor Fernandez attended Grand Ledge High School for two years before becoming an esteemed Interlochen Center for the Arts student, graduating last year. While attending Interlochen, Taylor met Zoë, and the pair became best friends. After graduation, Taylor moved to New York City to attend the prestigious Clive Davis Institute of Recorded Music, part of New York University's Tisch School of the Arts. Meanwhile, Zoë headed to Boston to attend the Berklee College of Music. Though the pair had been friends for years, it wasn't until this past January that they first wrote a song together, commuting between the two cities to collaborate. This song, "Too Soon," which the pair that calls themselves 'Gemini' was released yesterday. It was produced by a mutual friend of the pair's, Austin Crute. Taylor and I have been friends on Facebook for five years but I had no idea of what she was up to until her mom, Deb, sent me a heads-up about the release this morning. As you can imagine, I get CDs and mp3s pretty regularly, and to be fair, there are a lot of good local artists. But, as I mentioned when I played the song on the air (immediately after only half-previewing it off the air), it's rare to be completely blown away by something. But I was. CLICK HERE: You've GOT to hear "Too Soon" by Gemini and you can own it for just $1! We got tipped off to a local artist's song. We loved it. We played it. And that's just the beginning.  Be listening for "Too Soon" by Gemini on 97.5 NOW FM and keep your eyes and ears peeled for news on a Lansing Gemini concert soon!